A brown diamond ring is a gorgeous alternative to a standard colorless diamond. 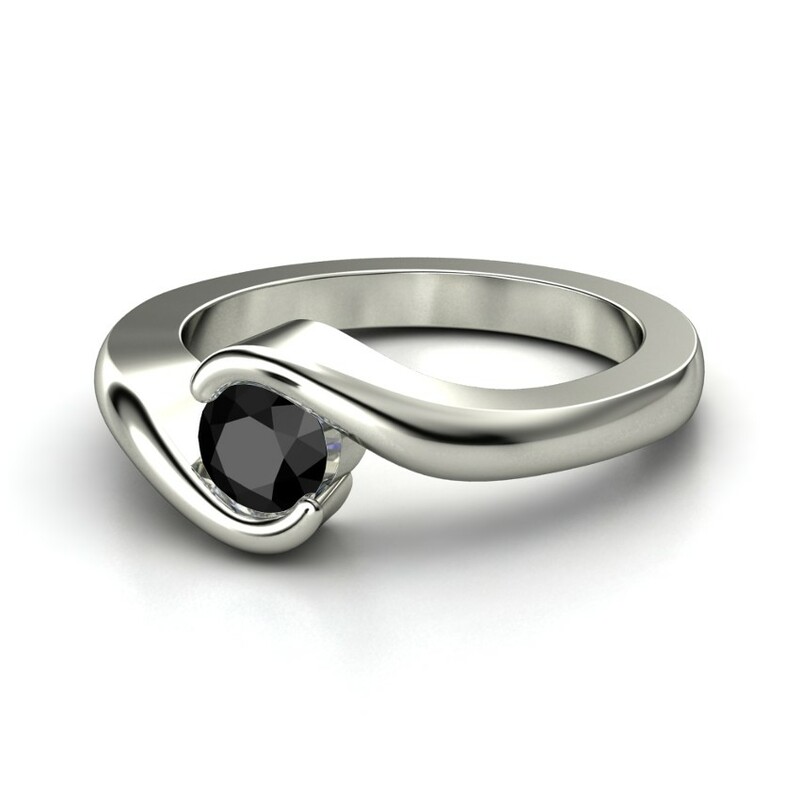 The dark beauties can range in price from about $500 to well over $15,000, depending on the carat weight, the materials used, and the style. To get an idea of the best brown diamond ring for you, view a few photos of the many gorgeous options available. For purchasing information on any of the following rings, please click "Buy Now" box at the bottom right image. This brown diamond cluster ring features a cluster of brown diamonds surrounded by colorless diamonds and warm 10-karat rose gold. The twisted shank features more pave set, colorless diamonds to give this ring some serious sparkle. The 0.20 total carat weight packs a punch when configured in this way; this is a ring that's sure to turn heads for years to come. It retails for $300. A classic three-stone setting is a great way to show off a large brown diamond. In this ring, the 1.5-carat rich brown diamond center gem is flanked by two smaller round diamonds. The soft glow of the simple white gold setting provides a beautiful backdrop for this ring which retails for less than $5,000. If you love the look of bridal sets but want the stand-out appeal of a brown diamond, there are plenty of options. This beautiful 14-karat yellow gold example features a round, brilliant-cut brown diamond surrounded by colorless diamonds. The simple colorless diamond wedding band completes the look. This set retails for about $1,000. An engagement ring doesn't have to feature a prominent center stone. If you're looking for something a little simpler, this beautiful yellow gold and brown diamond band may be perfect. It features 0.13 carats of sparkling brown and colorless diamonds and retails for about $260. A classic solitaire gets a creative twist with this white gold engagement ring. The oval brown diamond in the center is 0.54 carats, big enough to get noticed but not too flashy. This ring retails for about $1,700. This 18-karat beauty features a modern split-shank style, supporting a 1.25-carat round brown diamond. The setting is encrusted with sparkling colorless diamonds for added luxury. Retailing for about $1,500, this ring makes a beautiful style statement. This vintage style ring is a beautiful choice for an engagement ring, and it really sparkles. This 1.5 total carat weight 14-karat gold ring features a gorgeous round-cut center brown diamond, surrounded by colorless diamonds and intricate detailing on the shank. This ring retails for under $700. Whether you choose a princess-cut diamond engagement ring or another style, brown diamonds add an unexpected pop of color an a lovely warmth that any bride-to-be will love.